At the Royal London Hospital patients who have recently undergone heart surgery are now practicing MediYoga as part of their cardiac rehab programme. It’s a great success. 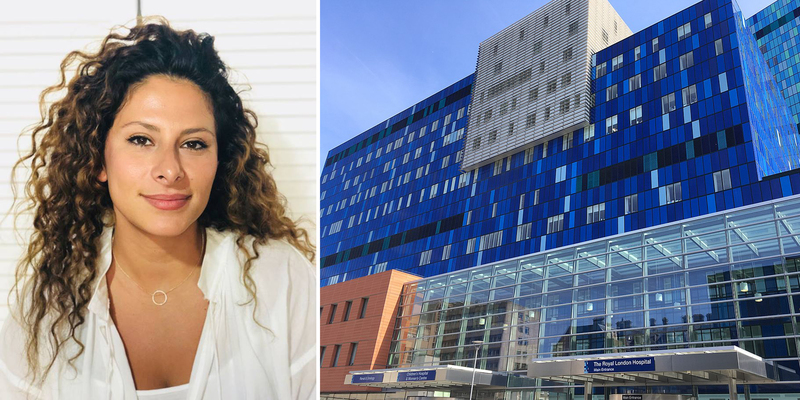 MediYoga Teacher & Therapist, Shima Ghamari, is behind the yoga programme funded by the NHS trust, Barts Health. The feedback from the patients has been excellent and has surpassed the expectations of the staff at the Royal London Hospital according to the head nurse, also because MediYoga includes easily patients with mixed abilities. “The greatest joy is the amazing feedback from the patients. They express so much gratitude, and some of them report that the effect of MediYoga persists even three days after. One lady told me that she feels calm, and her stress levels are much lower,” she says. However, it was not an easy process to bring forth MediYoga in the UK. It took Shima persistent work, a few presentations, and taster classes at yoga studios, health clinics and hospitals, until her effort eventually paid off. So, what made it possible for Shima to keep up? The meditation Kirtan Kriya, long deep breathing and grounding MediYoga is her answer. Shima Ghamari’s own journey with MediYoga has cleansed layers for her to get to her heart, self-esteem, self-love and forgiveness. “I stand up for myself in crisis and have learnt to manifest the life I want,” she says with a confident and smiling voice. Since early age Shima meditated. She experienced a big shift in consciousness within, and for a long time she was not sure about where she belonged in the world. Health as such was always calling for her, and she worked as a fitness instructor for years. Shima holds a master’s degree in Public Health from Karolinska Institute in Stockholm, but she did not feel right behind a computer. Not being creative was a challenge. The MediYoga Institute was just around the corner from her office, she attended some classes and a new door opened to her. Here she found what she’d been looking for. “I loved MediYoga,” Shima says, “It fits perfectly with my speciality in Public Health. Now I integrate the hard data and masculine energy with the creativity of teaching and feminine energy. I’ve always wanted freedom from norms”. Teaching MediYoga at the Royal London Hospital is not structured like in Scandinavia where the teacher knows who’s attending each class. So Shima’s creativity and fast thinking are important in order to meet the needs of every patient. And it works. The success of the MediYoga programme with Barts Health has led the trust to further study the effect of MediYoga on their cardiac rehab programme as compared to before. Right now Shima and the staff are gathering feedback from patients and keeping track of the progress as the patients continue their practice at home on their own. Furthermore, other hospitals have showed interest in MediYoga due to this programme. “It is very motivating. 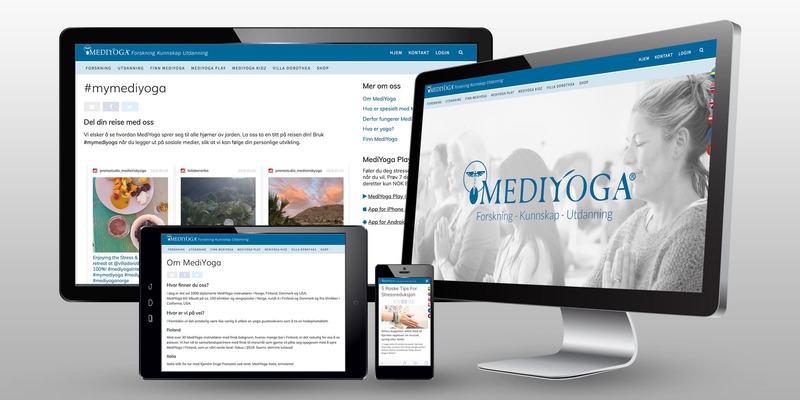 The growth of MediYoga in the UK has only just started,” says Shima Ghamari. Number One Motivator: My partner, he’s so thrilled with the effect he experiences, and we do MediYoga together at home. Stress begynner alltid med at hjernen opplever en trussel, synlig eller tenkt. Innsatte i Arendal Fengsels lukkede avdeling har hatt dyp effekt av MediYoga-kurs med instruktør Anne Vatne Myhre. Med egne ord, og de innsattes - forteller hun her om opplevelsen, som også har satt seg dypt i henne selv. Føler du deg stresset? Finn roen hvor du vil, når du vil. Prøv 14 dager gratis, og betal deretter kun 89 NOK i måneden. Vår målsetting er at du alltid skal kunne finne MediYoga raskt og enkelt. 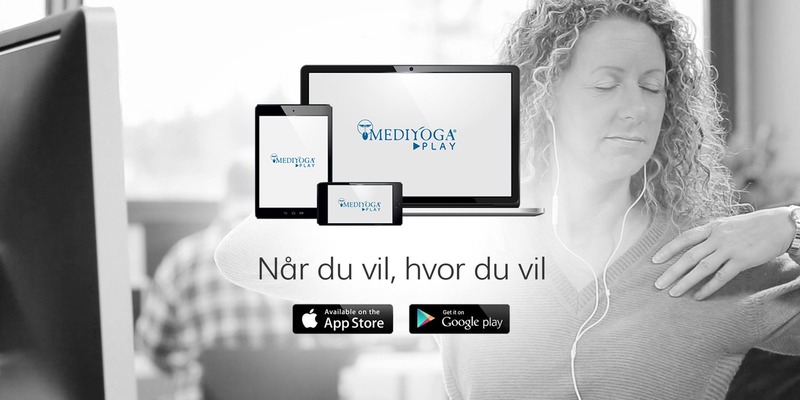 Når du vil delta på en yogatime, en terapeutisk samtale med individuelt tilpasset yogaprogram, om du vil melde deg på en av våre utdanninger eller retreater, eller om du velger et av alle de yogaprogram som finnes på MediYoga Play.